I just looked up the textbook list for my study abroad classes. It was probably the best idea ever. I love the expatriates, so I’m really glad I found out about this course. And I’m being serious. I was hyperventilating in the theater when I saw Midnight in Paris. Taking the expatriate literature course makes up for not being able to take the travel writing course. I mean, I think it’s a class at UGA too, but I’d much rather take it in Austria. I’m going to pretend to be an expatriate there. Maybe I’ll look into what the expatriates did and ate and mimic them. I’m sure they had good taste in food. I wonder which writers decided to get fat in Europe. I’d like to know who I share that fantasy with. But! The list! I have to share it because I’m really excited about it. This list looks damn good. Like every other English major out there, I’m obsessed with the Realist and Modernist movements. In case you didn’t know, the writers on this list are associated with those movements. (I think James is the only author here who is really associated with Realism, though. The others are typically associated with Modernism.) I don’t think I’ve ever read any Baldwin, but at least I’ll be introduced to his work this summer. I’m very excited about all the books on here. I mean, I knew the list would have these writers on it, but I’m still just happy to actually read it. Hemingway! Stein! Fitzgerald! 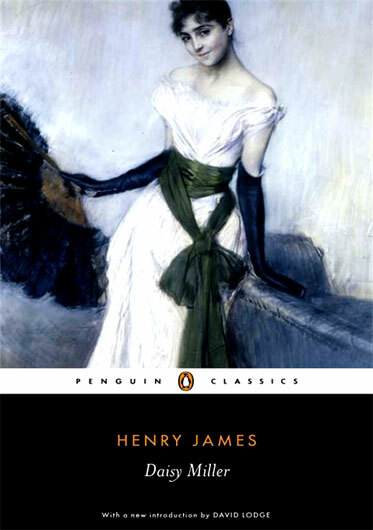 And Henry James? I read Daisy Miller in one of my English classes last year (hopefully this book is a collection of short stories rather than just one – I’m sure it is – it has to be!) and I really liked it. I think I read one of his essays. I don’t remember which one it was, though, and I had to read four essays that week, so I get them all messed up. I really wish this class would have a field trip. I’ve already looked over the calendar, so I know it won’t, but it would still be so awesome. The class should just go to Paris and do a literary tour of the city. Beautiful. Hm, Paris is a little far from Austria. Did any of these writers ever touch base in Munich or Vienna? I do know my anthropology class is going on two field trips. One is to Dachau and the other is to Bolzano, Italy to see some frozen guy. I’m kind of nervous about visiting a concentration camp.All I know about the Italy trip is that I’m going to eat really good food that day and nobody is going to stop me. My mind is really starting to wander now so I should probably knock some things out for my trip. I still have to submit this form (and I might have to fill out a few more, yikes) and buy a Eurail pass so I can go on the trains and actually go on trips. I also have to get my textbooks, which is why I ended up looking at – and fantasizing about – that list in the first place. Also I have to start packing what I imagine is going to be a bulky suitcase and get a Typhoid vaccine tomorrow because on Saturday I’m going to South Africa, and boy, am I terrified. Oh, and I have to go to the doctor early tomorrow morning (it’s at 9:30, but anything before noon is early to me), so I need to get my face away from this computer screen so I can actually start trying to sleep since it takes me forever. I think I might actually write about going to the doctor tomorrow because this particular experience will be a first for me, ha. Do you think I could just buy these books at Barnes & Noble or something since they’re not actually textbooks? I do have to get that anthropology textbook anyway, though, so I’m not totally convincing myself to just run to the mall and buy these books tomorrow. My summer reading experience is gonna be so good.